At this point I expected a Valentine’s Day event for Pokemon Go(Free) because that is what loads of other games are doing this week but The Pokemon Company International and Niantic had something else in mind. The AR+ feature in game allowed for some great photographs and the team was inspired by that for this new feature. GO Snapshot will arrive soon for Pokemon GO on iOS and Android. 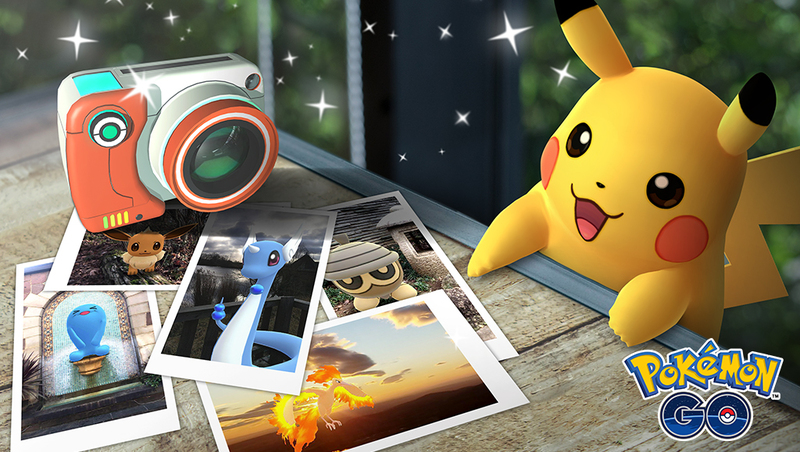 GO Snapshot will let you take a photograph of any Pokemon in your Pokemon Storage. You can use this by accessing your camera from your Bag of Items or when looking at a specific Pokemon. Once you throw a Poke Ball for a Pokemon and your Pokemon is at the correct spot, you can move around to get the best angle for the photograph. All photographs are saved to your device and can be shared to social platforms That are linked within the app. Now is a great time to get into (or back into) Pokemon GO with the new social content, trainer battles, and more that have been added in addition to the content you can unlock in the Switch games through Pokemon GO. Given that the Switch games sold about 10 million copies, I expect a lot of cross promotion in the future as well for both games. Head over to our forum thread for more discussion around Pokémon GO.